Kathmandu, On the occasion of the Announcement Program of the municipality level labour desk, GEFONT president Cde. 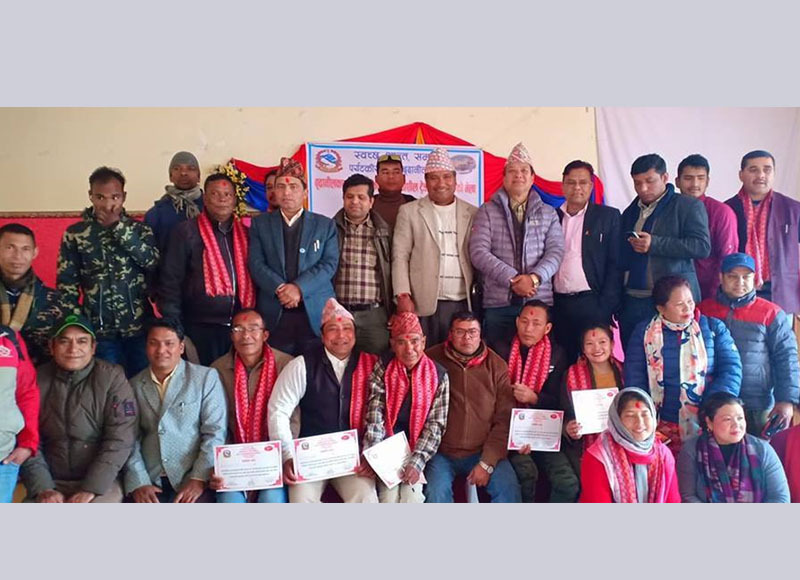 Binod Shrestha said “The Labor Act & Contrubution based Social Security scheme are the landmark initiative for working class so that it should be institutionalized & everyone should focus for its effective implementation. Speaking at the Announcement Program on the Working Committee of Labor Relations Coordination Committee organized by Budhanilkantha Municipality on 2nd February; President Shrestha thanked for formation of the mechanism which will help to address the workers problems. He further added employers & the workers working in the municipality should register & The labor audit have to be taken forward. Meanwhile, Mayor of Budhililkantha Municipality Mr. Uddhav Kharel said that municipality is aware on the workers issues. He further added the Working Coordination Committee will work for the welfare of the workers & also highlighted the major role of the Trade Unions to bring the new labor law and contribution based on Social Security Act. ANTUF vice president Cde. Jay Karki & Secretary General of CAWUN Mr. Pradip Aacharya also addressed the program.